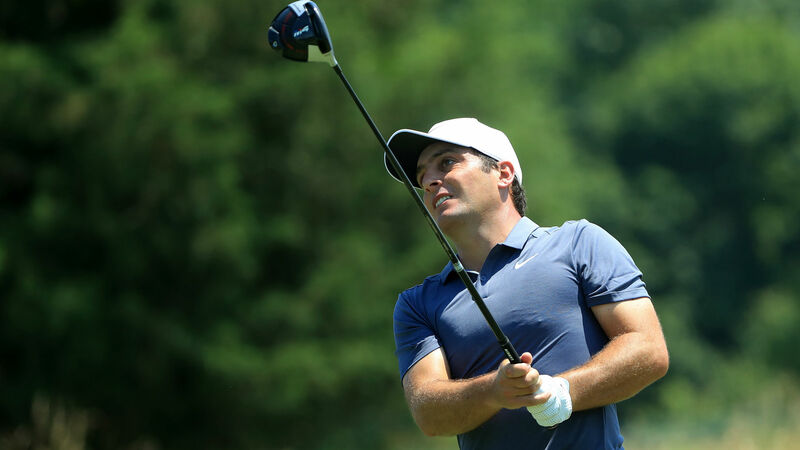 Francesco Molinari is potentially the hottest golfer in the world right now with two wins and a runner-up finish in three of his last four starts, but he’s unsatisfied with the way the season has gone thus far. “Satisfied with the Quicken Loans victory, but it’s been a frustrating year, to be honest,” Molinari said Wednesday in his press conference. “At the beginning of the season I felt like I was playing well and hitting the ball well, but not getting enough out of it. [email protected]_Molinari is currently No. 4️⃣3️⃣ in the #FedExCup. Molinari kicked off his hot stretch with a win at the BMW PGA Championship — the European Tour’s flagship event. He then finished second at the Italian Open, t-25 at the U.S. Open and recently earned his first PGA tour victory by eight shots at the Quicken Loans National. “I guess a lot of it is confidence,” Molinari said. “Obviously I went back to Europe to play in May, and had two really good weeks there winning and finishing second. Probably getting some confidence from that. Making his John Deere Classic debut this week, Molinari believes TPC Deere Run suits his game nicely. “I think I’m lucky enough that I play the game in a way that you can play most courses, to be honest, if I’m in good form, which I am at the moment,” Molinari said. “It’s going to be a case of doing my things well, going through my processes well through the week, and hitting good shots. If you hit good shots you’re going to have quite a lot of chances around here.